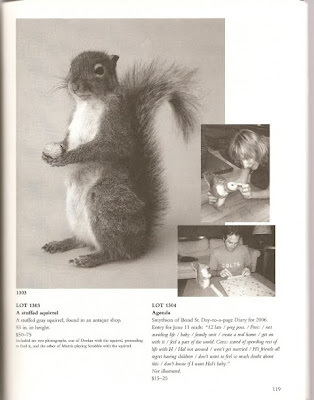 The rise and fall of a love affair described in terms of an auction catalog: this is 'important artifacts ... et cetera'. Few people will have a conception of this book. And that is all too understandable, because Key artifacts ... is a book that is unique in its kind. Important artifacts ... is the description of 1332 lots that once belonged to the (fictional) Lenore Doolan, culinary editor at The New York Times, and Harold Morris, much sought after commercial photographer. These gifts they each have given, clothes they wore, the books they read [together], CDs, knickknacks, theater programs, menus, photographs, letters and printouts of e-mails they each sent when Harold visited a distant corner of the world again for a job. In short, all the costumes and props from the drama of their love life. Because it is a tragedy. In the description of all these objects draws slowly the story of love between Lenore and Harold, how they each have experienced how their relationship intensified and when and where the first cracks showe. 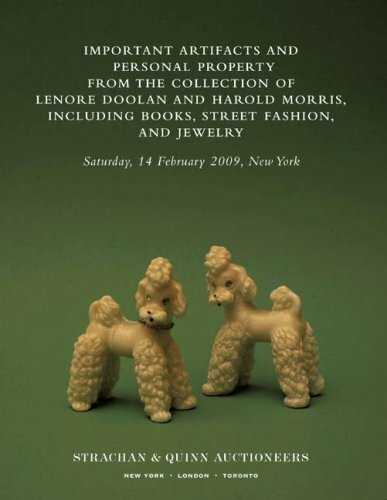 How their relationship slowly but inevitably had to break down, with dire results as the 'sale' of everything to remember their love, and still on 14 February 2009, Valentines Day, auctioned at Strachan & Quinn.